An action RTS sequel to a standard RTS game, Kingdom Under Fire 2 is shaping up to be a quality, albeit different co-op game. 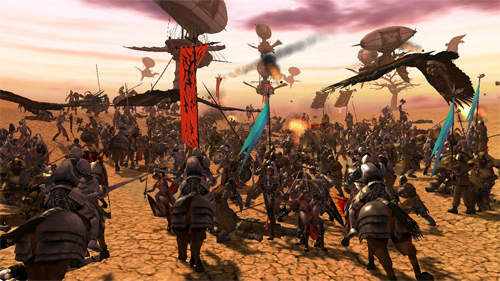 Kingdom Under Fire 2 looks to be on a massive scale, with massive battles, somewhat resembling a controlled MMO (that is to say, limiting the co-op to 15 players, as opposed to World of Warcrafts numbers around 6million subscribers.) This new gameplay trailer released for Kingdom Under Fire 2 shows some impressive cut scenes, as well as the actual gameplay we can expect from such an epic title. Page created in 0.4422 seconds.